Create your content in your favorite word processor like MS Word or OpenOffice Writer and then easily type or paste your content into the easy-to-use post editor in WordPress. Posting to your blog or site or updating existing posts is a 1-click process. All you have to do is press publish and it's on the web. Changing themes is easy - you can search for themes and install the ones you like directly from the admin interface. 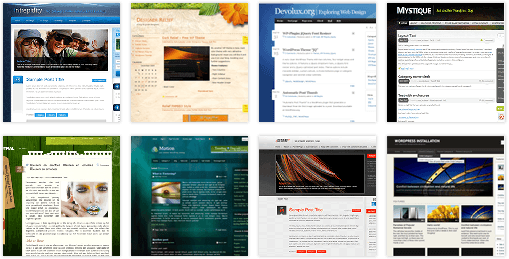 Because WordPress supports an active developer community, there are thousands of themes available for free! Plugins are small programs that add a specific feature or extend the functionality of WordPress. Some examples include: inserting full-featured YouTube videos into your WordPress post, integrating Twitter into your blog, optimizing your blog for search engines, enhanced SPAM blocking, and much more! Widgets are like plugins, but provide a simple way to add or arrange the functionality of your sidebar content without needing any programming knowledge. Some examples of widgets are: adding a calendar or clock, listing your most recent posts or including thumbnails and links to your Flickr™ gallery. 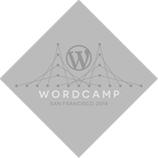 We are present at WordPress events like WordCamps. These events are attended by blogging newbies as well as professional WordPress developers and consultants. We are proud to support the WordPress community by not only attending and presenting at these events but also sponsoring numerous WordPress events around the country. Transferring your WordPress blog is a snap with Web Hosting Hub. Simply back up your WordPress database, themes and plugins. Once you've installed WordPress through Web Hosting Hub, just import your database, upload your themes and plugins and go live! Web Hosting Hub is a leader in WordPress hosting, We currently host thousands of WordPress-based sites and blogs. Our support technicians are expertly trained and part of the WordPress community — in fact, most of our staff uses WordPress for their personal sites!